1- Wastewater inflow, 2 - Screen and grit removal, 3 - Primary settling tank, 4 - Aeration tank, 5 - Secondary clarifier, 6 - Treated effluent, 7 - Waste activated sludge, 8 - Aerobic digestor, 9 - Supernatant, 10 - Thickener, 11 - Primary sludge, 12 - Anaerobic digrestor, 13 - Digested sludge. 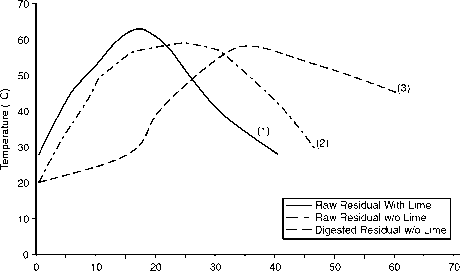 Figure 4.2 Aerobic sludge digestion process schemes. is recommended. In Scheme 2a, waste activated sludge goes to the aerobic digester directly from the secondary clarifier. In Scheme 2a, the sludge goes to the digester after preliminary concentration in a sludge thickener. Schemes 2c and 2d are the most common processes in small to medium-sized waste-water treatment plants that include primary settling. In Scheme 2c, thickened secondary sludge is combined with primary sludge and discharged to the digester. In Scheme 2d, combined primary and unthickened secondary sludge is digested first and thickened in a thickener. For larger treatment plants, it is more practical to use the variations that digest primary sludge and WAS separately, as shown in Schemes 2c and 2d. The thickener-recycle system shown in the schematics can be incorporated into the digester tank design. A circular digester with the integral thickener-recycler is illustrated in Figure 4.3. It had been a common practice to pump the WAS directly from the clarifiers into the aerobic digester; however, this necessitated larger tanks to satisfy the SRT requirement. Modern practice is to thicken the WAS prior to discharging into the digester, thereby reducing the digester volume required. designed for smaller treatment plants. Sludge is pumped directly from the clarifiers, or after thickening, into the aerobic digester. During filling operation, the digester content is aerated continuously. When the tank is full, aeration continues for the required detention time. Aeration is then discontinued and the stabilized solids settled. The clear supernatant is then drawn off with a telescoping valve or similar decanting device and the thickened biosolids are removed. A sufficient amount of the biosolids is left in the digester to provide the necessary microbial population. The cycle is then repeated.